Dr. Nitish Singh is an Associate Professor at the Boeing Institute of International Business at Saint Louis University, Missouri. He has been teaching there for a decade now and in that time, he has developed an Online Certificate program in ethics & compliance. He is also the President of an ethics & compliance consulting firm called Integtree LLC, which he founded in 2013. Before joining the faculty at Saint Louis University, Nitish spent several years as a full tenured Professor at California State University, Chico, where he led the Localization and International e-Business programs. His educational efforts have been supported by US Department of Education, the Qatar National Research Foundation, California State University, Google, HP, IBM, Microsoft and other companies. 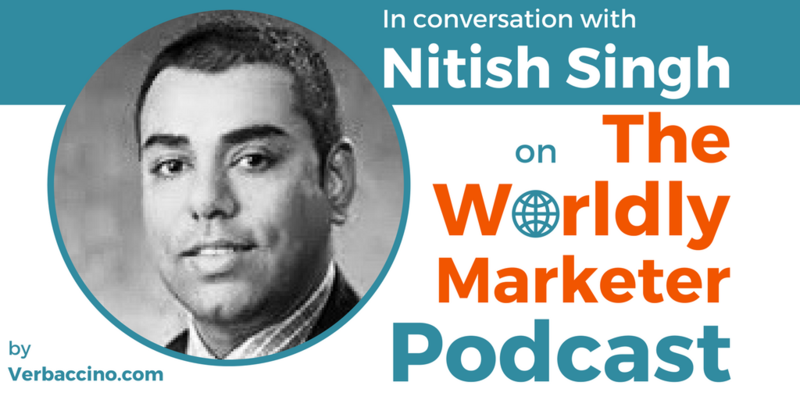 Nitish holds a Ph.D. in international business and marketing. He has co-authored two critically acclaimed books: The Culturally Customized Web Site: Customizing Websites for the Global Marketplace and Localization Strategies for Global e-Business. Last but not least, Nitish is a co-organizer of the Brand2Global conference series, which has been bringing together digital marketing and localization professionals every year since 2013. I had the pleasure of meeting him at the most recent edition of Brand2Global in Silicon Valley, where he gave a presentation called “Optimizing Global Marketing Budgets: The Global Segmentation Tool”.